The University of Mississippi has been named one of the “Great Colleges to Work For” by the Chronicle of Higher Education for five consecutive years, putting the institution in elite company. 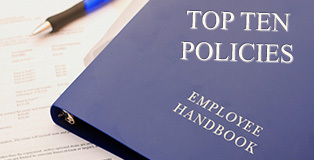 Only 97 of 300 institutions achieved “Great Colleges to Work For” recognition for specific best practices and policies in 2011. And, for the second straight year, Ole Miss is the only SEC school to be included among the top 10 on the Honor Roll, which recognizes those schools that scored the highest in employee satisfaction across 12 categories. The university was recognized specifically for nine categories; Collaborative Governance, Professional/Career Development Programs, Teaching Environment (faculty only), Job Satisfaction, Confidence in Senior Leadership, Supervisor or Department Chair Relationship, Respect and Appreciation, Tenure Clarity and Process (faculty only/four-year only and Facilities, Work space and Security). New to The University Family? If you would like assistance locating additional information, contact (662) 915-1205 or hr@olemiss.edu.